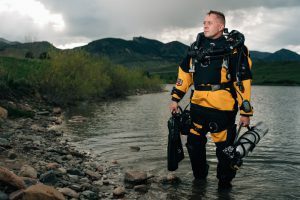 Dave Conlin joins the Just Curious Show to talk about his career as an underwater archaeologist working for the National Parks Services as the head of the Submerged Research Center. Conlin talks about how it’s science and his two masters degrees and Ph’d that got him not just being a good SCUBA diver. Though you better be a good SCUBA diver! Dave is one of those rare people who knew what they wanted to do since he was a little kid. But, the road hasn’t been all swimsuits and rainbows as he explains that the years of schooling, which he is still paying off, set him up for his big entrance into the field…volunteering to clean boats. It’s a great window into the life of following your dream job and what it really looks like when you are there. Check out more about the NPS Submerged Research Center on the parks website. And they also have their own Facebook page that you can find here.